within a unique and warm space. Inspired by authentic cultural cues and featuring touches of indigenous art and materials, The Resort represents a tranquil space for travellers to unwind. 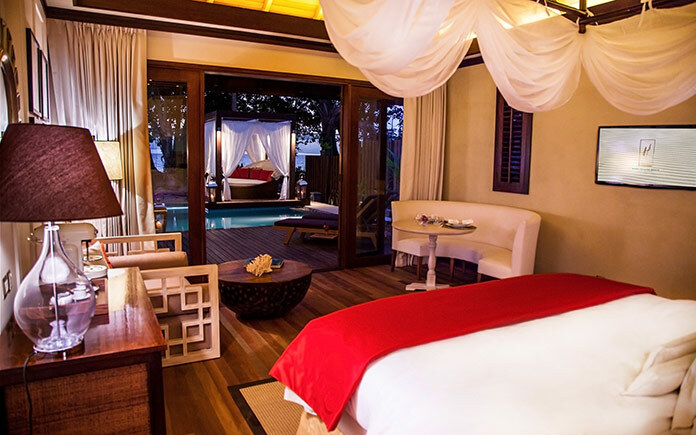 A comfortable and intimate destination that offers opportunities to discover the treasures of Seychelles, the resort is conveniently located at the centre of Mahé, Seychelles’ largest island, on a glorious 3km stretch of glistening white sand and crystal clear waters. 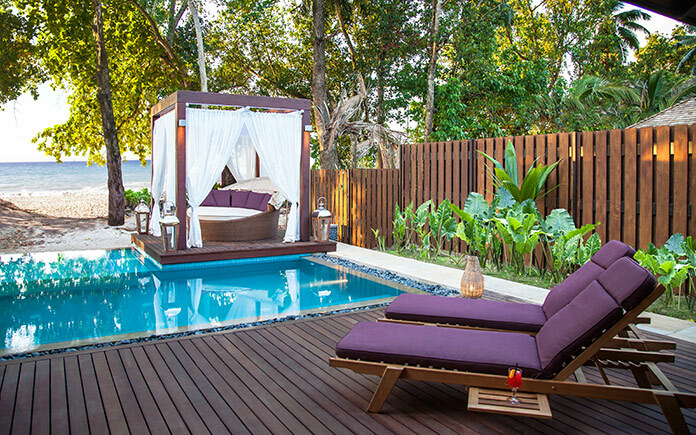 Created in harmony with nature, The H Resort offers a unique experience, surrounded by the majestic lush greenery and mountains, all the while embracing the iconic turquoise waters of the Indian Ocean. Deep blue and green shades define the mesmerizing colour pattern of this magical landscape: pools and water ponds dialogue with the lagoon and endless sea, reflecting the juxtaposition between the authentic Seychellois heritage and the modern luxurious comforts pervasive around the 5-Star Resort. 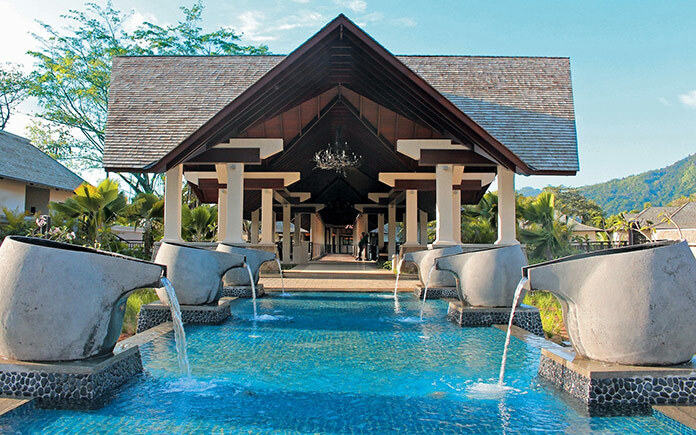 Whether for a romantic trip, a wedding celebration, or simply an escape to one of the world’s most beautiful islands, The H Resort Beau Vallon Beach, Seychelles provides accommodation and venues as well as activities and services that address the needs of all guests coming from different parts of the world. The H Resort although part of this world, provides an out of this world experience. 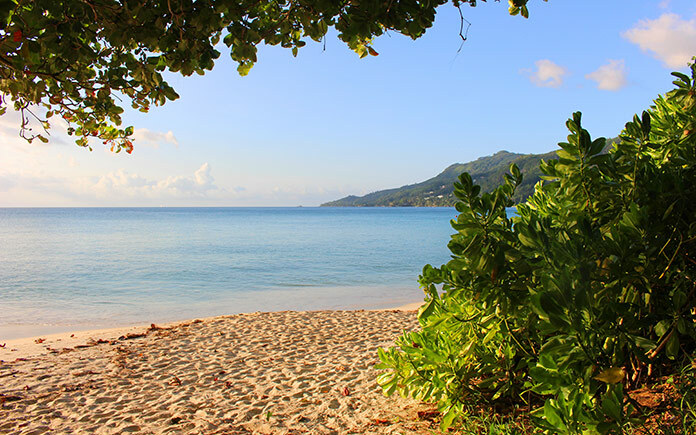 Conveniently located at the centre of Mahé, Seychelles’ largest island, on a glorious 3km stretch of glistening white sand and crystal clear waters, The H Resort Beau Vallon Beach embraces the island’s natural landscape making the serene and distinct accommodation units almost camouflaged by the entire scenery. 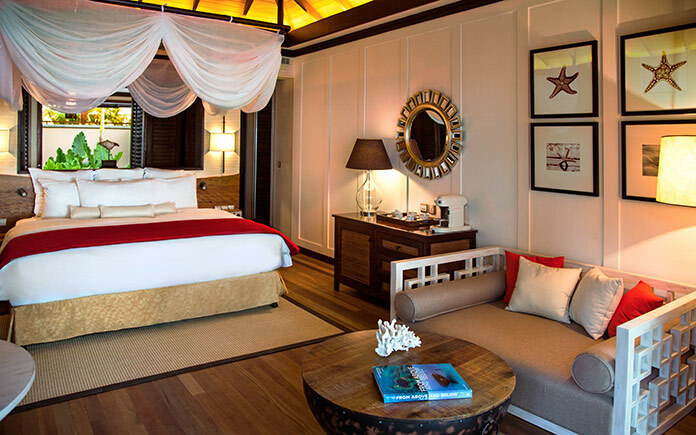 The newest 5-Star hotel on shore, The H Resort is where the majestic lush mountains, home to the Seychelles’ local Takamaka trees and coconut palms, along with a vast array of many different local flora and fauna, meet the pristine white shores of the aquamarine coloured sea. 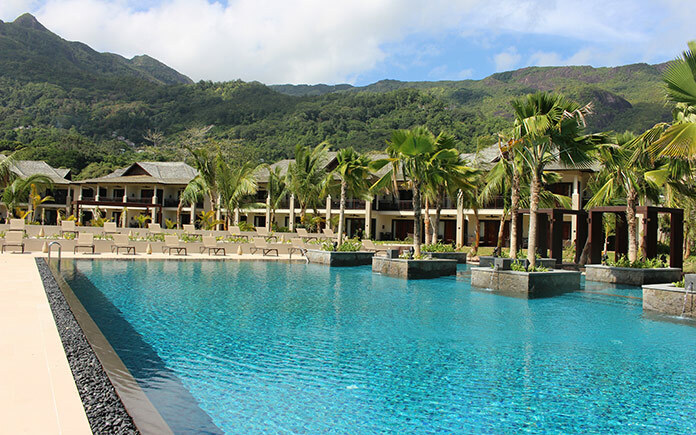 The H Resort Beau Vallon Beach provides a diversity of a total of 100 gracefully crafted accommodations that simultaneously reflect the authentic expressions of Seychellois heritage and offer modern and luxurious comforts and services. 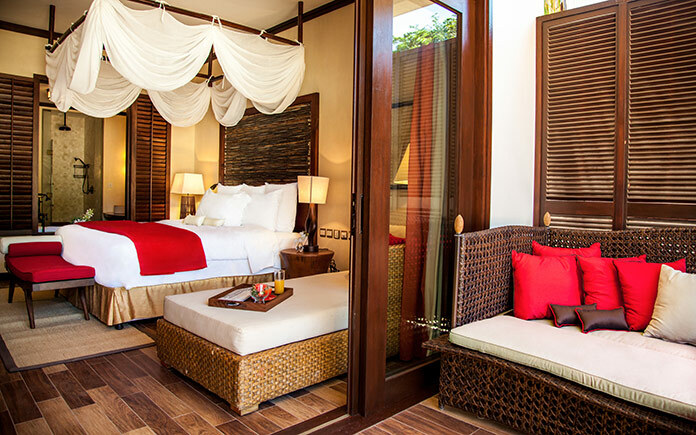 The accommodation includes 46 Junior Suites, 38 Garden Suites where luxury resides in the details, 14 Beach Villas, an oasis of tranquillity, and 2 Grand Beach Villas known as the masters of elegance and space. Each Beach Villa encompasses 167 sqm of serenity and superlative amenities with the captivating sea literally at their doorstep while the aesthetically stunning Grand Beach Villas, with one or two bedrooms, ranging from 150 to 250 sqm, are inclusive of expansive entertaining spaces, private plunge pool and discreetly set butler pantries, designed specifically for elegant and chic comfort. 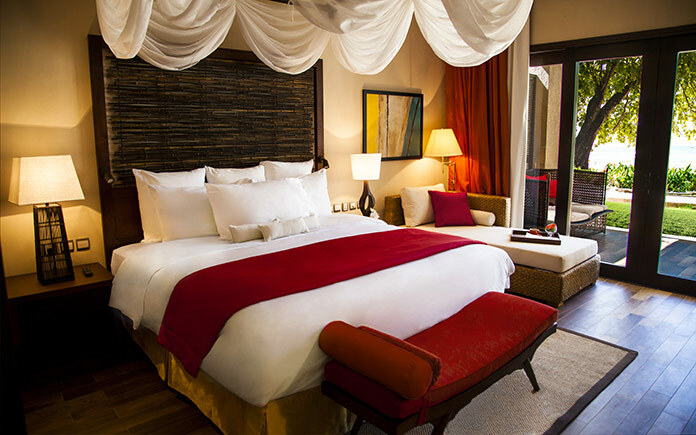 a range of comforts including a private balcony/terrace, indoor and outdoor day beds, indoor and outdoor dining areas, large screen televisions, and complimentary Wi-Fi. 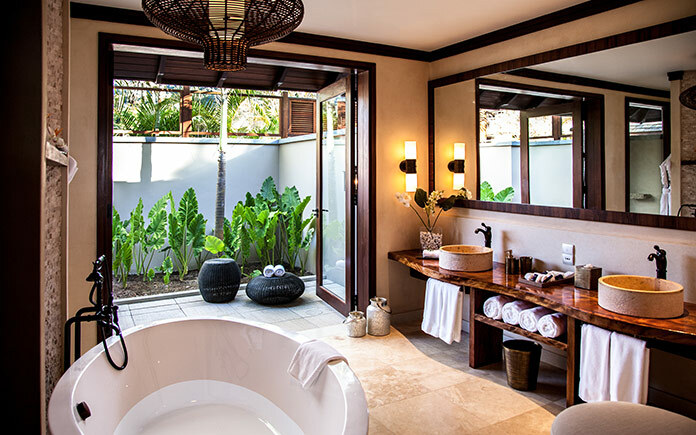 Each serene Beach Villa includes additional exclusive features such as a private pool and cabana, direct access to the beach, outdoor rain showers and an espresso machine. Delightful creations that are masterfully prepared by a number of expert chefs complemented by spectacular views and the courteous warmth of Seychellois hospitality, The H Resort offers a wide-ranging collection of culinary destinations that have been carefully selected as to ensure the finest blend of Seychellois-inspired cuisine and international culinary offerings. The spacious Mediterranean themed restaurant, Vasco’s, blends simple lines of contemporary décor with artistic flair and is open for breakfast and dinner whereas Eden is a private venue that presents guests with a chance to rediscover the spirit of romance and love as they indulge themselves in a unique inspired cuisine offering seafood and meat specialities. 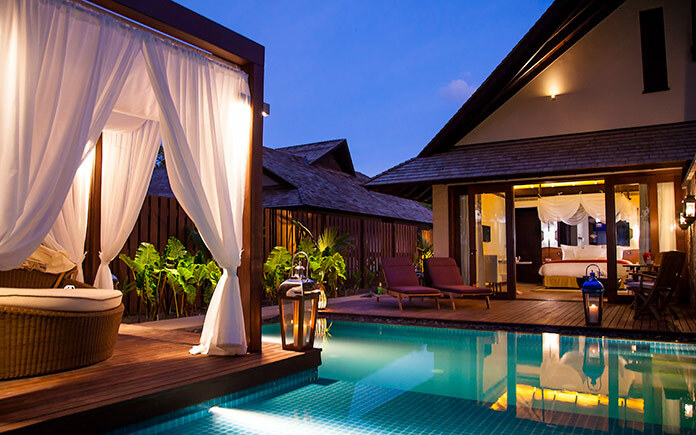 The beautifully lit 1502 expertly prepares light bites with Seychellois flavour while the sophisticated yet intimate Seyshima Island offers the finest in Japanese Teppanyaki haute cuisine presented in the island’s serene and natural lagoon. The Resort’s dining signature, Tête-à-Tête, offers guests the choice of creating their own tailor-made dinner under the stars, on the virgin shores of the beach. 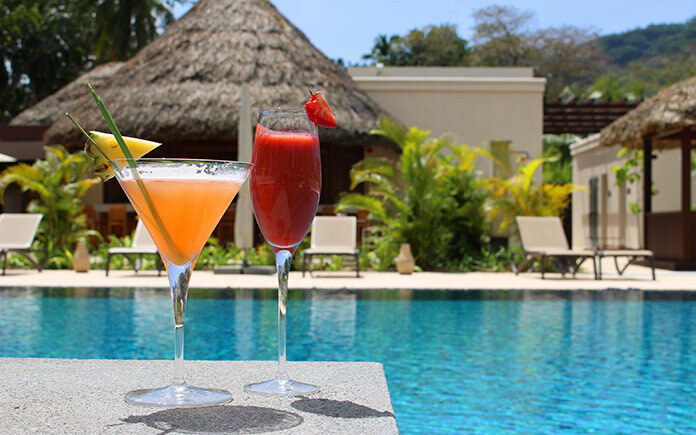 The H Resort’s recreational facilities are sprinkled around the resort and offer a pool as well as invigorating activities such as yoga, tennis, volleyball pétanque and more. No holiday in the Indian Ocean is complete without exploring the world beneath its turquoise waters. Beyond game fishing, salt-water fly-fishing and unrivalled scuba diving, The H Resort offers an array of fun-filled water play where guests have a chance to be joined by dolphins, an inquisitive turtle or another member from the diverse marine life while kayaking, paddle boarding, scuba diving, fishing or indulging in other aquatic activities. Travellers looking for the true meaning of relaxation can indulge themselves in the luxuriously designed spa at The H Resort. 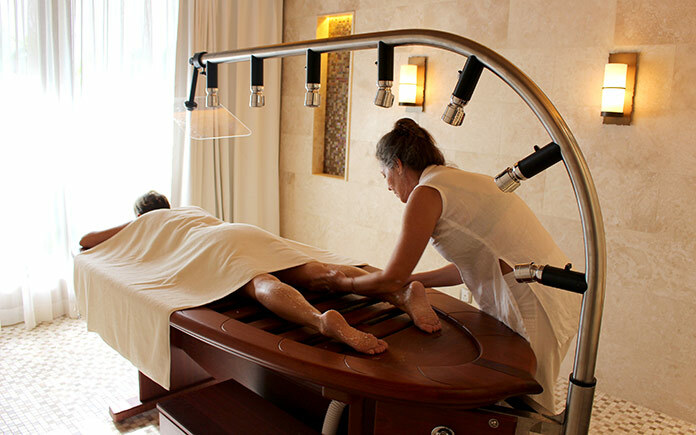 The Sesel Spa offers signature treatments that combine only the finest in Western and Eastern techniques implemented by expert therapists who take a holistic approach to wellness as to ensure careful nourishment of body, mind, and soul alike. It consists of 5 single treatment rooms, 2 couple treatment rooms, a Vichy shower room, as well as a salon for nails, hair, and other aesthetic treatments. The Spa’s team has over 25 years of international experience in Homeopathy, Aromatherapy, Ayurveda Therapy, Medical Skin Care, Energy Healing, Holistic Healing, and even Life and Relationship Coaching. They have worked with a large number of celebrities including Jennifer Lopez, Bruce Willis, Demi Moore, Roger Federer, Bruce Willis and Serena Williams, to name a few. The Sesel Spa team has also worked together to create products with signature blends just for The H Resort. 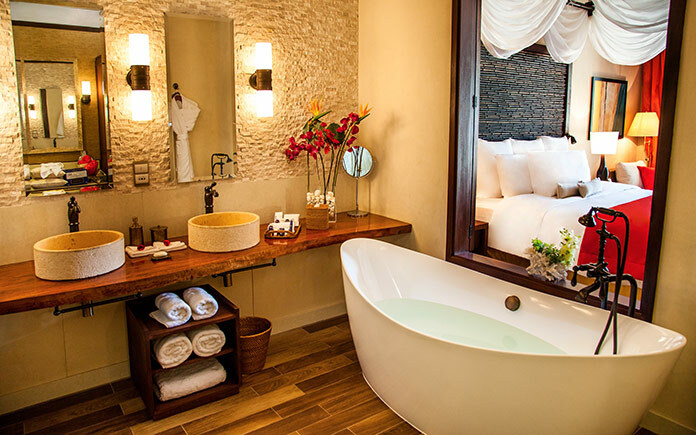 Taking a holistic and unique approach for every individual, guests can expect to feel rejuvenated and regain their power of individuality simply after one session. Other aspects of The H Resort’s leisure activities and facilities include the BV Gym, a high-class fitness gym that is equipped with the latest up-to-date Life Fitness machines as well as professional personal trainers. 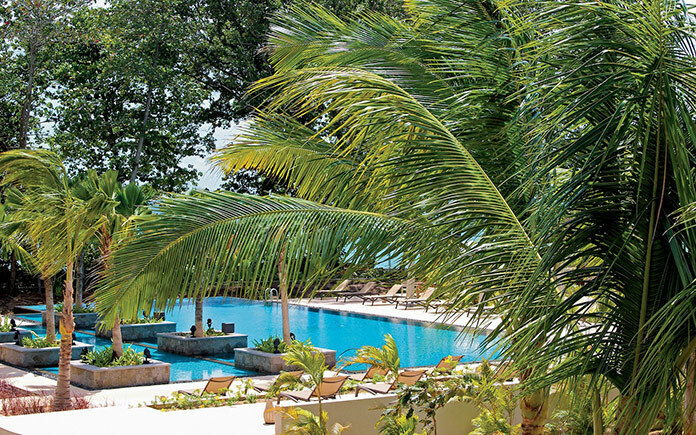 The Resort also provides yoga classes with a top level instructor who offers a wide insight into the practice of yoga. The Treetops Kids Club, a world of exploration and fun awaits children, where they are well cared for by a team of professional caretakers who arrange fun-filled activities for children of 3 to 12 years old.